Maintenance With PAC - PRINCETON AIRPORT ~ Learn To Fly Here! 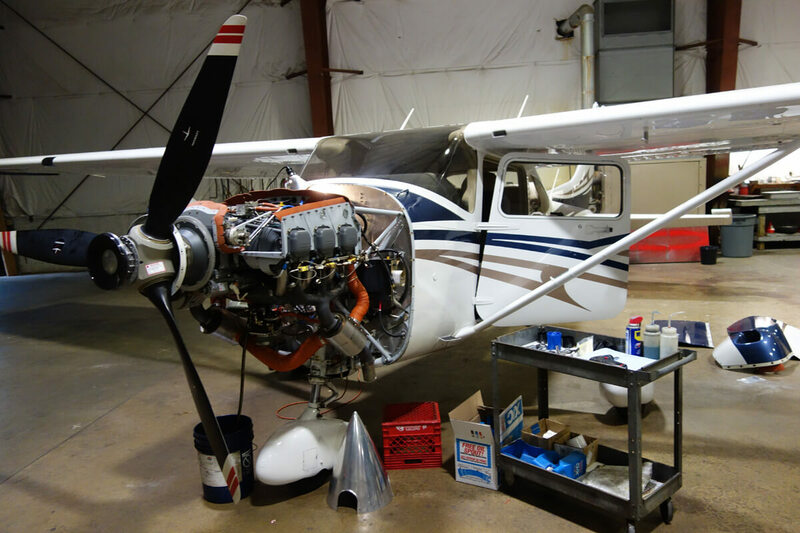 Princeton Airport experienced staff of certified mechanics assures you quality service on your aircraft. Since 1967, the Nierenberg family has run a maintenance shop for major and minor airplane repairs. Their experienced staff of certified mechanics assures you quality service on your aircraft. The maintenance hangar contains the latest equipment and a large stock of airplane parts to be able to service you in a timely manner. When you schedule your annual it should be at a time which is convenient for you – when you will be out of town, when you have a busy workload, etc. So with some planning ahead, you can minimize your down time when your annual is due. PAC maintains several flying schools and commercial operations which must conduct 100 hour inspections. Whether you wish to combine the installation with your regularly scheduled maintenance, or need a new piece of equipment installed, our professional staff can accommodate your needs. The maintenance shop operates weekdays and Saturdays by appointment. PAC has one the largest inventories of general aviation parts in stock which enables quick turnaround of routine and special maintenance, completed by professional maintenance staff. You will find that PAC not only can turn your airplane out in short order, but you will find that the prices on parts and labor are competitive. 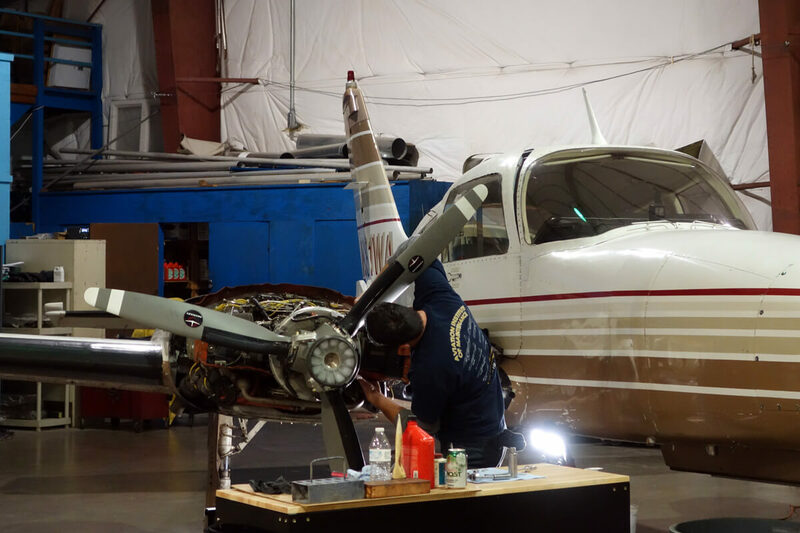 PAC has been servicing single engine and light twin and cabin class airplanes for decades, as the staff has experience with all general aviation airplanes. It has a large inventory of parts, thus enabling the mechanics to return airplanes to service quickly, and rarely do airplane owners have to wait for parts’ deliveries.